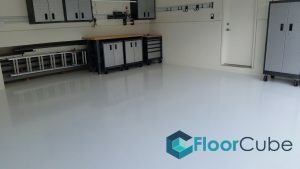 Epoxy flooring is the most common type of flooring used in both industrial and commercial areas. 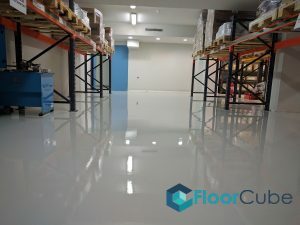 There are different types of epoxy coatings used for flooring purposes such as self-dispersing epoxy coatings, vapor barrier epoxy coatings, graveled epoxy coatings, epoxy terrazzo coatings, mortar epoxy coatings, epoxy antistatic coatings and self-levelling epoxy coatings. Every type of epoxy flooring has its share of pros and cons. Nonetheless, epoxy flooring benefits certainly far outweigh epoxy flooring problems. Can’t decide which flooring to get? 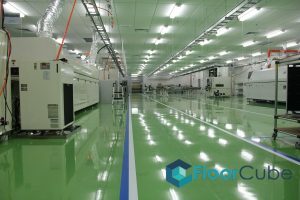 Let’s guide you through the different types of epoxy floorings available in Singapore. Self-dispersing epoxy flooring contains flooring materials that make it ideal for areas with heavy traffic such as loaded trucks and lorries. Flooring contractors in Singapore understand that such areas require resilient flooring that can withstand great pressure. This type of epoxy flooring can be combined with quartz sand to make it more durable and long lasting. 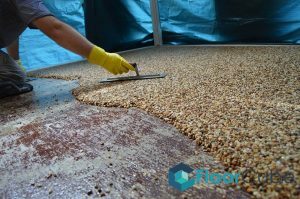 The coating combined with quartz sand is mainly used in the food-processing industries or areas that require anti-slip features. 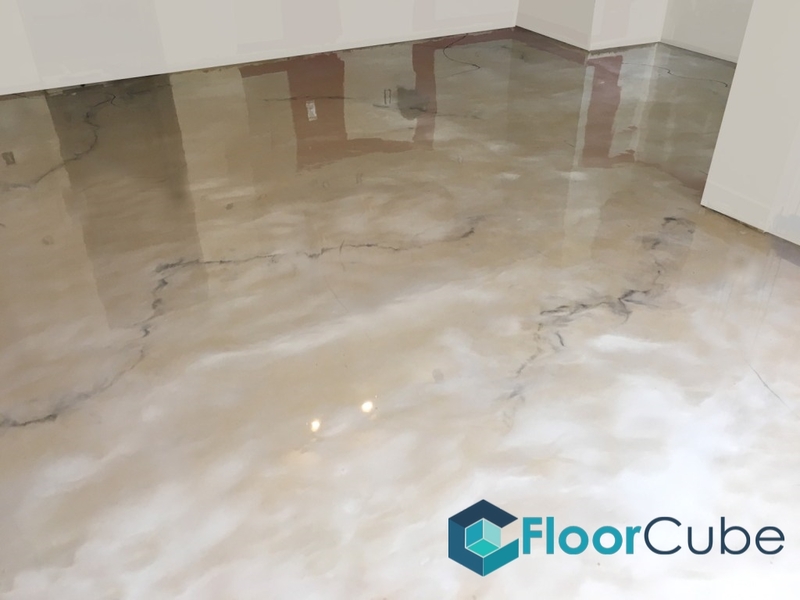 Self-levelling epoxy coating can be easily installed both on new and old floors made of concrete. When applied, this coating provides a flawless and even surface. They are ideal for use in areas that have high foot traffic such as warehouses, kitchens, garages, offices and storage rooms. When it comes to epoxy floors, mortar epoxy flooring is considered the strongest. As a result, it is mostly used in heavy industries. It also seems to be very effective when applied to repair dents, which is done prior to the application of other epoxy floorings. Gravelled epoxy flooring is by far one of the most aesthetically pleasing types of epoxy flooring, which makes it useful for floor decorating purposes such as incorporating logos and other designs on the floor. Epoxy terrazzo flooring is easy to clean and maintain, making it more popularly used in entrances such as those in school hallways, offices, and commercial buildings. Epoxy antistatic flooring is specifically made for use in areas that are prone to experience static electricity. These floors are permanently placed in areas that house machineries such as hospitals and laboratories.